A great way to drain your carboys without having to hold them upside down the entire time. These will drain the carboy, although not as well as our BE450 due to how close the mouth of the carboy is to the ground. Note that a carboy can fall out of the stand if left unattended, so please be careful when using this product. Carboys will not fit in this drainer if a carboy handle is on the carboy. Reviews were good and it just makes sense. Works so well for draining, I have two so I can work multiple carboys. Great for carboy drying after cleaning. Great for letting carboys dry after cleaning. I use these with Better Bottles. Would have given 5 stars if the inner collar was a little more recessed allowing liquid to drain faster. It will drain on a smooth surface easily, but if it's like on a bath mat in the tub it won't drain. Best and simplest way to drain a carboy after washing. Holds them in place very well. Does its job. Definitely recommend it. If your carboy has an attached handle, think twice. While this seems like it could be useful, because I invested in the clamp on handles that MoreBeer sells (which are extremely handy when it comes to lifting and moving full or even empty carboys) the hassle factor of removing the handle just to use this is not worth it for me. Buy an handful of these! We have a couple (2) at least and they come in great us for drying carboy and kegs after washing them on our Mark's Keg Washer. Definitely worth the $6.95! Keeps your carboy in the perfect position to properly and completely drain it and therefore dry it out as fast as possible. works perfect. 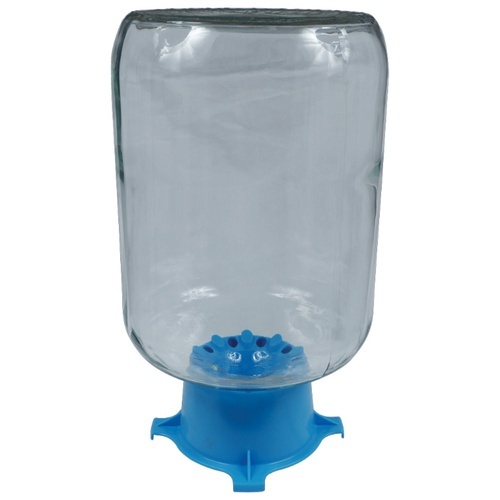 This simple device is perfect in holding the carboy for draining while cleaning or after cleaning. 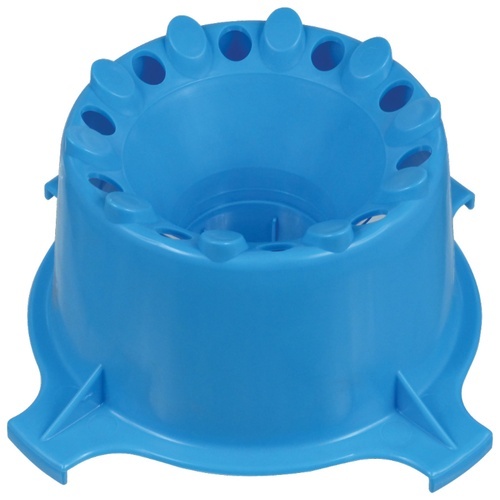 Well, this is what it is--it's a carboy drainer stand, and it's blue. simple as that!